The fourth day of this year Swim Open Stockholm showed a great final session and also many happy smiles. Philip Heinz, the german terminator, started the final day winning the 200 IM, 1:57:81. Then Franziska Hentke won the 200 Fly, 2:06:84 - a great race! At 800 Free Henrik Christiansen stole the show, 7:49:40, oh so strong every time he enters the pool! 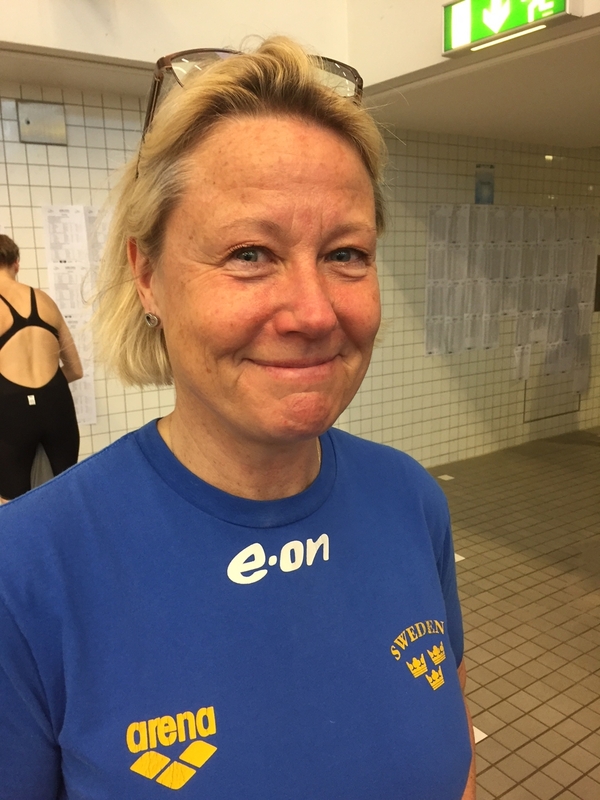 A new Swedish Record by the magnificant Jennie Johansson, and fastest this year, at 100 breast - 1:06:30. Norwegian winner at 50 Free, Niksja Stojkovski, 22:59. Also in this race a new Swedish Record, but a junior one by Björn Seeliger, 22:62. 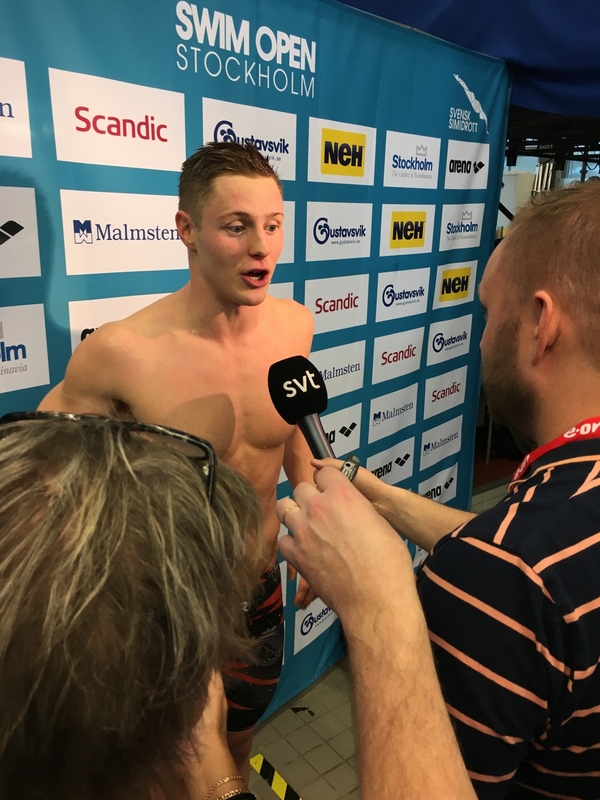 800 Free, Sarah Köhler, so tough when she grab a new victory, 8:25:32 and then Johannes Skagius won the 50 Breast with a new Swedish Record, 27:16 - well done there Johannes! The last event - 100 free with Sarah Sjöström at the blocks in an amazing mode. New Swedish Record and also the fastest time this year, 52:54!!!!!!!!!!!!!!!!!!!!!! The Swim Open Stockholm ended with the best performence prize award, and also great money there. On the mens side Philip Heinz took the third place (€2500), Ginedius Titenis won the silverposition (€5000) and all over winner with €7500 in prizemoney was the norwegian mean machine - Henrik Christiansen! For the women the fantastic Katinka Hosszu, who swam all the 17 events during the competition, won the third place, Michelle Colleman, always so cool and so great, won the second place and after an extreme competition the fantastic Sarah Sjöström won the first place! This edition of Swim Open Stockholm was a great success to many swimmers - we thank you all for being here and hope to see you and the spectators again next year, 4-7 of April. Don´t miss that! 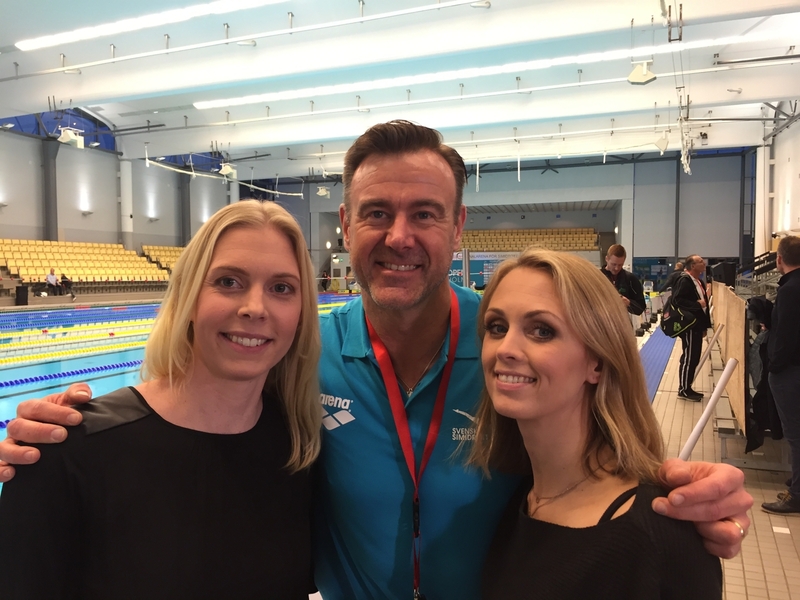 Day three of this Swim Open Stockholm event continued with great performences in the pool. The fast german freestyler Sarah Böhler won 400 free, 4:06:72 - oh so fast! Then Quy Phuoc Hoang stole the show at mens 100 free, 49:96. The fantastic IRON LADY, Katinka Hosszu won the 200 back - 2:12:93, she is really a swimmingmachine! The norwegian Tomoe Zenimoto Hvas grab the victory at 200 fly, 2:01:13 and Rikke Møller Pedersen won the 200 breast, 2:25:59 - well done! The hungerian star David Verrastó show great skills at 400 IM - 4:10:21 and then Katinka won her second gold for the evening, 200 IM - 2:11:87. A tired IRON LADY - but always with a big smile!. 100 back, the lithuanian Danas Rapsys - great finish, 54:57. 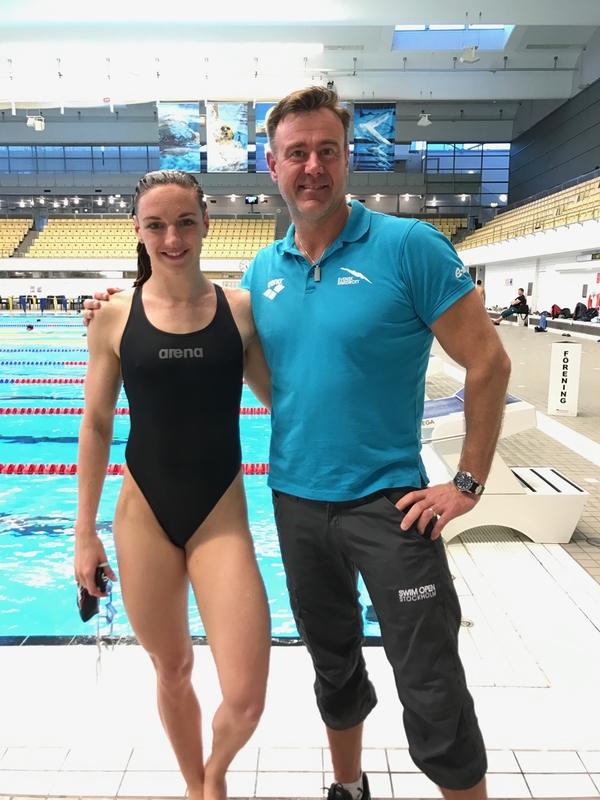 The last event was 50 free for the ladies... Sarah Sjöström - close to the worlds record, but today "only" a swedish record - 23.83. So fast, so fantastic, so Sarah! 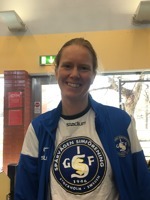 After this great day the swedish national head coach at the photo, Ulrika Sandmark, was real happy. Tomorrow the last days for the fantastic competition Swim Open Stockholm. The swedish Paraolympic star, Maja Reichard from Spårvägen Swim Club, yesterday broke the swedish record in s11, 50 fly. The new recordtime is now 34:29. And it´s also a new inofficial european record. Well done Maja!!! Erik Persson, the talent swedish breaststroker, today crushed the swedish & nordic record at 200 breaststroke with the fantastic time 2:07:85! Sarah Sjörström performed the world best time this year at 50 fly, 24:96, and so did Michele Coleman at 200 free, 1:55:64. Other winners was Ida Linborg, 50 back - 28:46. Katinka Hosszu, 1500 free, 16:22:30. Wojciach Wojdak, 400 free - 3:47:16. Danas Rapsys, 200 back - 1:57:08 and the fast sprinter from Belarus Yahor Dodaleu, 50 fly - 23:59. A great day with great performences! After the tragic act of terror today the Saturdays Opening Ceremony will start with a minute of silence. 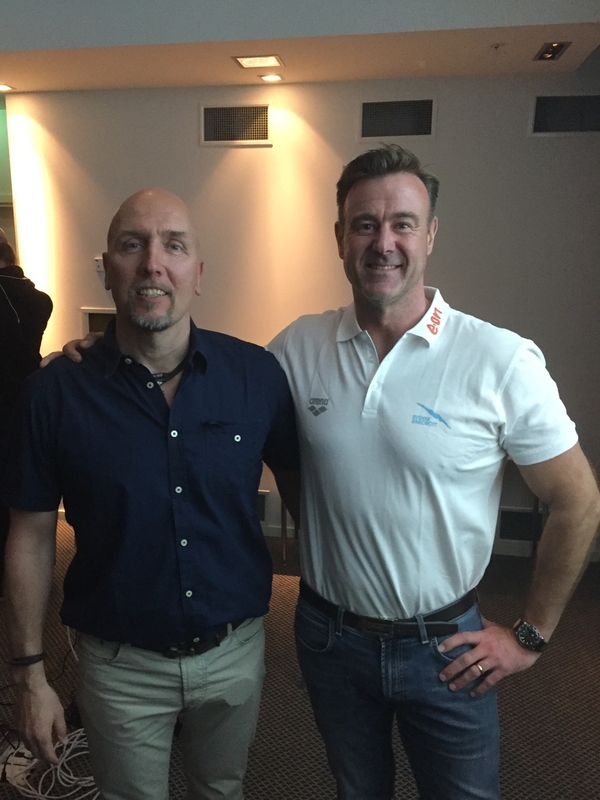 After the tragic attack we have had a lot of questions about the Swim Open Stockholm will be run or not. The Swim Open Organization currently see no threats against the event and therefore have decided to run the event as planned. All our thought goes to the familys who has been affected of this tragic attack. Watch all the events from Swim Open Stockholm, live and on demand. 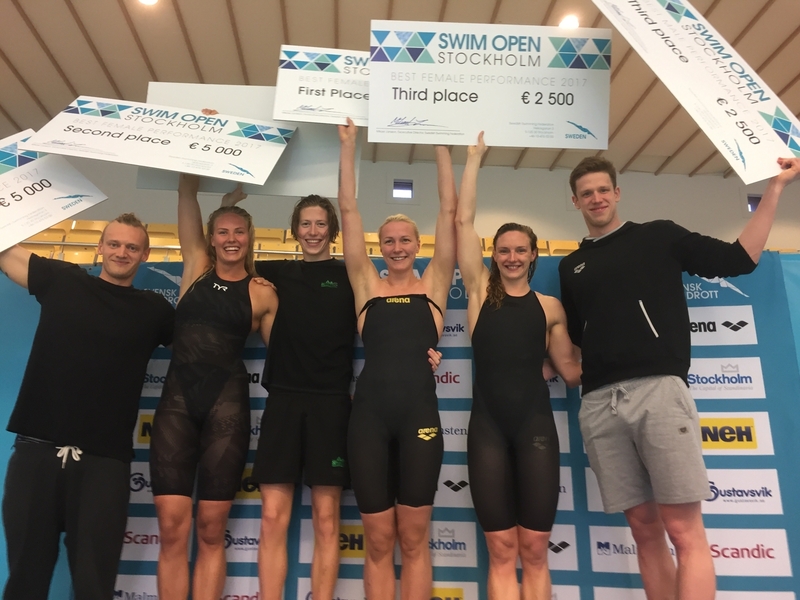 Don’t miss the Olympic champions Sarah Sjöström, Katinka Hosszu, Pernille Blume and many others superstars compete in the second edition of Swim Open Stockholm! 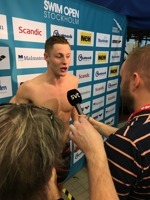 swimopenstockholmlive.com is a service created by the Swedish swimming federation and Spring Media to stream the event to an audience all around the world. The service is not available in Sweden where you can watch the A-finals on Eurosport 1 and the prelims and B/C-finals on simidrottstv.se. Spread the word and we hope you will enjoy the competition! Price? Day pass 6,99 dollar, entire event 19,99 dollar. We are both happy, and sorry, to announce that the Swim Open presale tickets for Saturday and Sunday are now sold out. There is still i few presale tickets left for Monday & Tuessday, mail annika.gardell@svensksimidrott.se. And don´t hang your head if you don´t got or will get a presale ticket. There will be a limited amount of ticket to buy on spot in the Swim Open Bureau! The Swedish Coaches Association proudly invite all coaches to an evening lecture with almost legendary Coach Dirk Lange. We meet on Sunday the 9th of April at Clarion Hotel, 21:00-22:30. Dirk is one of the most wellknown and most succesfull of the european coaches the last two decades. He is former headcoach for both the German National Team and also the South Africa National Team. 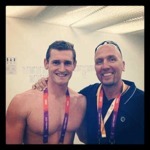 At picture you see him with Cameron van den Burg after the Olympic Gold Medal 2012 in London. Today Dirk runs the succesfull team in Graz. 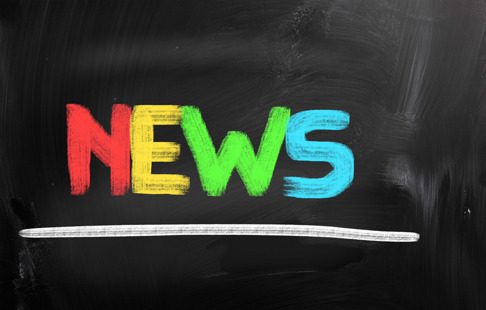 You find more information about Dirk here. The subject for the evening? STARTS & TURNS By Dirk! Take your place infront of the spectacular Swim Open Eurosport1 broadcast from 8-11 of april at 18:00. This year commentators will be the same as last year, the acclaimed team with Karin Frick and the former World Champion Josefine Lillhage. Times runs fast, just a few days left before this year edition of Swim Open Stockholm starts. You see all information in this sheet.